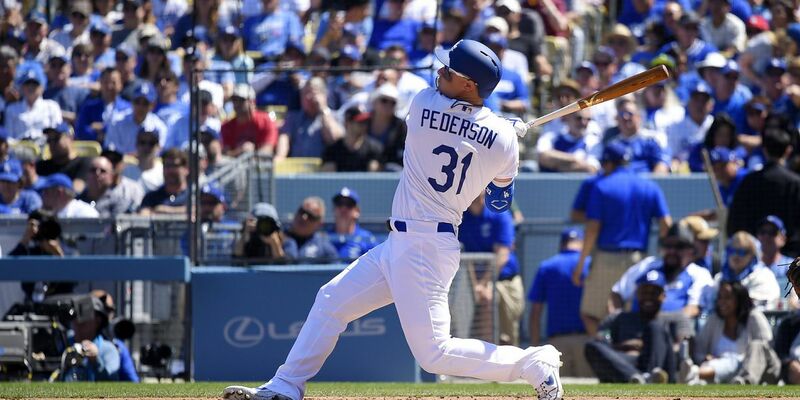 LOS ANGELES (AP) — Joc Pederson and Enrique Hernandez each hit two of the Los Angeles Dodgers’ eight home runs, which set a major league record for opening day and tied the franchise record for any game, during a 12-5 victory over the Arizona Diamondbacks on Thursday. Hernandez, Austin Barnes and Corey Seager all homered in the fourth inning to chase Arizona ace Zack Greinke. Max Muncy, Cody Bellinger and Hernandez then homered in the seventh for the power-packed Dodgers, whose pursuit of a third straight NL pennant got off to a thrilling start. Adam Jones and Christian Walker went deep for the Diamondbacks, but their pitching staff's eight homers allowed also set a franchise record.